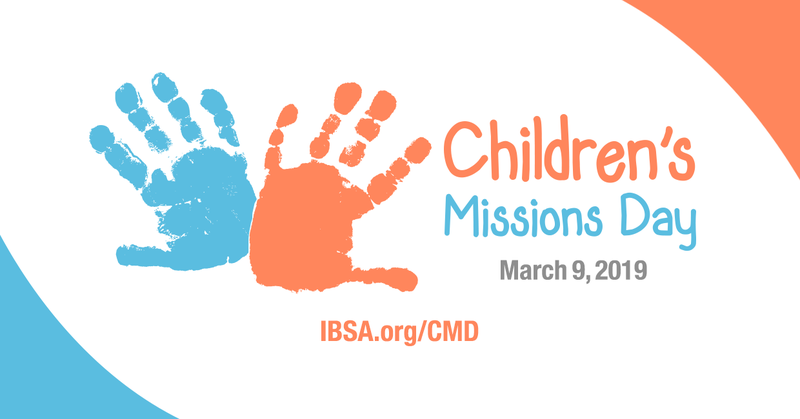 Join us for this one day hands-on missions opportunity specifically designed for kids in grades 1-6. This is a great opportunity for them to be motivated and engaged in mission action in their own community. Kids are experiential learners and this gives them the opportunity to experience value and meaning to what they have learned about missions, experience the fellowship and excitement of doing missions, and to instill a love for helping others. Registration is easy! Cost is $10 per participant with a $30 family cap. Up to two leaders from each church can attend for free! Leaders, pick your favorite location and sign your kids up. Be sure to include each participant’s name and T-shirt size in the registration. Someone from the location team will contact you about available projects and answer any questions you may have. Carlinville – Lunch for First Responders; decorate clay pots and plant spring seeds in them and deliver to assisted living center; prepare the Disaster Relief shower trailer for deployment; decorate/paint large trash receptacles at the Macoupin County Fairgrounds; make small crafts and deliver to local nursing home patients; or build your own. Carrier Mills – Sprucing up at a local ball field; food pantry stocking & cleanup; town park cleanup; block party at Washington Street Park; nursing home bingo; or build your own. Fairfield – Work at local food bank; make floral arrangements and deliver; cookies for first responders; table decorations at soup kitchen; assist at local pregnancy center; goodie bags at assisted living center; or build your own. Mt. Vernon – Horse ranch; cookies for first responders; sort clothes, clean at clothes pantry at several locations; assist at local laundromat; work at local food pantry; make tie blankets; make stuffed dolls for nursing home residents; or build your own. Olney – Cards & hygiene bags for homeless; games & visits to assisted living home; clean-up city park; cookies for first responders; assist at a laundromat; clean up at “Angel of Hope” Children’s Memorial; or build your own. Pleasant Hill – Cookies for first responders and local senior center; baby blankets and crisis pregnancy center; reading to seniors at nursing home; fruit baskets for local seniors/shut-ins; collecting/delivering can goods to the local food pantry; or build your own. Rockford – Greeting cards for nursing home residents; collect recycled items for crafts at library; encouragement cards and small craft for assisted living residents; bring food, sort and pack backpacks; or build your own. Simpson – Decorating cookies; making floral arrangements for nursing home residents, assisted living residents and first responders; tying fleece blankets; reading to seniors at the nursing and assisted living homes; or build your own. Springfield – Games and visits with sight-impaired residents; prepare lunch and serve at Ronald McDonald House; cookies for first responders; serve meal at local breadline; sort and clean at local Goodwill; outdoor cleanup; or build your own. Steeleville – Cupcakes and cards for first responders; treats for local assisted living facility; staining the deck at the Crisis Pregnancy Center; spreading mulch at a local playground; cleaning/organizing local food pantry; carrying groceries to cars at the local grocery store; or build your own. Sterling – Cookies at nursing home; crafts and lunch at a retirement home; making tie blankets; women’s shelter cleaning/organizing; mats for the homeless; appreciation bags for first responders; cards/gifts for elderly; or build your own. Streator – Install fire alarms with local fire department (older children); visit local nursing homes/assisted living facility to do activities with residents; assist customers at local grocery store; assist elderly and shut-ins with projects in the homes; make blankets for Project Linus, assist in cleaning at a local church; or build your own. Troy (will be held March 30) – Clean-up Tri-Township Park; raking leaves/gum balls; painting outside of bathrooms; Cleaning at library; Bingo and ice cream at retirement center; Cleaning and organizing at food pantry; Help with pet adoptions, cleaning cages, walking dogs; Farm work, barn, horses; Puppet ministry; Roadside trash pick-up; Cleaning and set up of shower trailer; Make bookmarks for ladies prison inmates and ornaments for Angel Tree ministry; Disaster Relief – prepare trailer for mission; Stuff Easter eggs; Cleaning, windows, painting at Bethel Church; or build your own.